Steel, indoor or out. 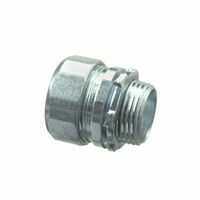 Use to join threaded Rigid or IMC conduit together. UL Listed.